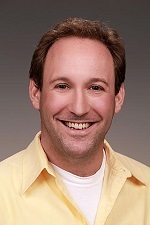 Congratulations to Dr. Ben Kravitz, atmospheric scientist at Pacific Northwest National Laboratory, for receiving a 2017 Ronald L. Brodzinski Early Career Exceptional Achievement Award from PNNL. Kravitz is being recognized for his outstanding research on modeling climate response to geoengineering concepts, or proposed tactics to deliberately reduce the amount of solar energy retained by the Earth. He founded the Geoengineering Model Intercomparison Project (GeoMIP), a worldwide effort to understand common climate model responses to various geoengineering scenarios. He has shepherded GeoMIP through the process of becoming an officially endorsed part of the Coupled Model Intercomparison Project (CMIP), a community-based standard protocol for validating atmosphere-ocean general circulation models. Kravitz, who got his PhD in atmospheric science from Rutgers University in 2011, joined PNNL as a research scientist in October 2012. He is an International Union of Geodesy and Geophysics Early Career Scientist Award recipient. His expertise in climate modeling and geoengineering has been featured in publications such as the e-zine Slate and The New York Times Op Talk blog. The Brodzinski award is named after a former PNNL Laboratory Fellow and nuclear physicist to honor his passion for mentoring early career staff.